Meet yourself on the page. Linger in yourself. Linger in your truth. Want the Writing with Rox Weekly Prompt? Email rox@writingwithrox.com to sign up! Free! Intimate gatherings, bright South Minneapolis loft studio, no writing experience necessary, all welcome. Space Limited. Pre-registration required. Write together, share, peer review, discussion of craft, publishing, and the writing life. Students are encouraged to explore all genres of writing (poetry, memoir and personal essay, fiction, and more) and all are welcome. Write together, share, peer review, discussion of craft, publishing, and the writing life. Emphasis on writing as discovery, gifting, and sharing. Ready for deep healing? Awaken to your most authentic self in a nurturing, safe, encouraging community. Worderers...warriors of the word...lovers of the written,spoken sungin' dancin', meanderin,' unfettered word... come play with words! Finally finished writing that novel, memoir, poetry/essay collection and wondering if anyone wants to read it? Wondering what to do next? Need a bit of feedback in a safe, supportive, encouraging setting? Whether it’s your first or last draft of a book-in-progress, this ongoing group meets monthly for peer review, discussion, craft/publishing resources, and inspiration around your book-in-progress. Open to all genres of writing, all stages of process whether you have an outline, an idea, entire book, Your Book Club is here to help you start, organize, and finish that book you’ve always wanted to write! Linger in yourself. Linger in your truth. Become, see and appreciate yourself more fully through this unique invitation to healers (including therapists, body-workers, health-care workers, teachers, etc) to claim and give voice to your creative self. Sharing, writing together toward deepened self-remembering and expression through a generative process of “raw” or intuitive writing in a small group setting that emphasizes safety, spontaneity and exploration. Cultivate mindfulness, insight, connection, self-care, balance for your practice and your own healing journey. Want the Writing with Rox Weekly Prompt?Email rox@writingwithrox.com to sign up! Free! Awaken to your most authentic self through intuitive writing in a nurturing, safe, playful community. Explore personal stories to awaken to deeper insight, compassion, and spontaneity as you connect to your most alive, truest self. Deeply healing, collective raw writing creates powerful and unique stories of wisdom and self-expression, connecting us to our immediate and intuitive truths. Participants limited to 8. Spending too much time in your head lately? Listening to everyone… but you? Become, see and appreciate yourself more fully through this unique invitation to therapists to claim and give voice to the creative self. Drawing on her experience in creative writing and psychodrama, Roxanne guides and prompts deepened self remembering and expression through a generative process of “raw” or intuitive writing in a small group setting that emphasizes safety, spontaneity and exploration. Come on… Meet yourself on the page. Play. Unwind. Feel deeply. Unlock and nourish the natural creative life force inside you. Laugh. Listen. Remember your heart. Can’t wait to learn more? Questions/interest in exploring this bi-weekly, affordable, unique opportunity for therapists please contact Roxanne at rox@superok.com or call 612 -703- 4321. Check out Roxanne’s website at writingwithrox.com. Writing therapy uses the writing process, content, and sharing/discussion of one's story in conjunction with traditional psychotherapy (talk therapy), to encourage deeper self-insight, compassion, and spontaneity in order to awaken one’s authentic self to living a whole life. Deeply healing, collective raw writing creates powerful and unique stories of wisdom and self-expression, connecting us to our immediate and intuitive truths. Co-create the shared healing experience through witnessing and responding to others’ writing, as they witness and respond to yours. Meals will be potluck and shared. Participants limited to 8. * You are welcome and encouraged to stay overnight if need/wish be. $30/or pay what you can! Worderers...warriors of the word...lovers of the written and spoken and sungin' and dancin' and meanderin,' unfettered word...Why? You love writing, you love sharing, you love being read to and you just can't get enough. You've always wanted to write or write in a group in a safe, supportive, nonjudgemental light spacious beachplace with the coolest writers in the world with guaranteed dark chocolate M+M's and liquid laughing tears of joy. for women writers of all ages, genres of wild, writing, & yogaing! * Connect/reconnect with your wild woman tribe! * Stretch/write into new ones like "I am fully alive!" "I am authentic!" "I love the sound of my own voice and song!" Wild Woman Writing! Solstice Retreat: Write yourself wild, free, and reborn! Feeling a little half-life-ish lately? Nostalgic for the free spirit you used to know? Come on over to the Beach and write to remember the wild authentic joy star sister that you are! Write to remember your voice, your "true" self, your spark. *Come celebrate your most authentic, creative, spontaneous fully alive self! * Connect with your wild woman tribe! *Reawaken to your free spirit, your playfulness, your truth! * See how sparky and amazing you truly are! * Write and witness the combined creative voices, poems, stories, and memories that rise up in wild authentic celebration!
. ( . . ) .
. INTUITIVE WRITING AND PAINTING WORKSHOP . .
WHERE IN THE WORDS ART I? . SUNDAY MAY 27, 2012 . . . . . .
. 10AM-3.30PM . . .
12 MAX . $85 . . . .
. . YOUR SPOT . . .
JOIN writer/writing therapist ROXANNE Sadovsky and SOUL Painting teacher . and artist LIBA Herman for an intuitive journey of creative expression! Together. we'll FOLLOW . the magic and discover . where the . creative/intuitive process leads us off the page and onto the canvas and back again! . . . .
New! First Thursday Writing Happy Hour! 6.30-8 PM Fun! Creative! Low risk! Mix Metaphors! $10/Love Donation Please pre-register! 9/6/12 JOY WRITING! Write .Laugh. Stop suffering already! 11/1/12 START YOUR GRATITUDE JOURNAL already! 12/6/12 WRITING THE HOLIDAY LETTER you really WANT to write! Already!!!! QUESTIONS ABOUT WRITING? HEALING? ASK ROX! DEAR ROX: IS IT BETTER TO SHOW THAN TELL?AM I A GOOD WRITER? HOW DO I WRITE MY TRUTH? HOW DOES WRITING HEAL? DEAR ROX: WHERE SHOULD I SUBMIT MY STUFF? WHY DOES WRITING HAVE TO BE SO PAINFUL? DEAR ROX: HOW CAN WRITING MAKE ME HAPPY? 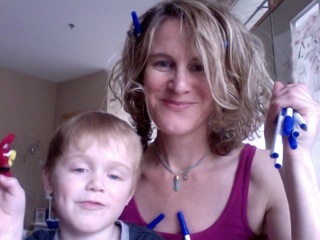 WHAT IS INTUITIVE WRITING?DEAR ROX:WHAT RHYMES WITH NORTH? HOW CAN I BE MORE CREATIVE? WHO DO YOU THINK YOU ARE? DEAR ROX: HOW DO YOU GET STARTED AS A WRITER? CAN YOU HELP ME WRITE A LOVE LETTER? PLEASE HELP! ROX ANSWERS ALL (AND I MEAN ALL!) YOUR QUESTIONS ABOUT WRITING, HEALING, RELATIONSHIPS, CREATIVITY, AND MORE! SEND QUESTIONS TO ROX@WRITINGWITHROX.COM! GIVE YOUR FEELINGS THE TIME THEY DESERVE! MEET THEM ON THE PAGE! Project 25 invites and engenders shared experiences and raw voices of participants in a distinctive way: as a community of writers (though no writing experience is necessary—all are welcome!) in a setting that offers support to express, listen, be witnessed, reflect, expand and heal collectively. In addition, we create a living document, an anthology of raw writing that calls out and responds to one seasonal prompt to encourage "writing your truth" of the human experience. The retreat takes place in a safe, supportive, and nurturing environment that focuses each writer on her own experiences while responding to others’, bringing forth a collective voice to the subject matter. Come prepared to write spontaneously, accessing your own unique stories, wisdom and expression, as you co-create the shared healing experience through witnessing and responding to others’ writing, as they witness and respond to yours. Our first gathering A CALL AND RESPONSE TO GRIEF was powerful and lives on in the raw words and healing generated together. If you are called to contribute, to linger in the basic human emotions, come respond to HUNGER with us APRIL 14-15! 10 a.m. – 10 a.m.
What does it really mean to “love myself” anyway? Integrative workshop where writing and gentle yoga reawaken us to the foundation of our nature and why we need it now more than ever. By now, we’ve all been slapped with self-help jargon touting the importance of learning to “love yourself,” but what does that really mean? Often times we are lead to think self-love is something hard earned, (I will love myself when/if I…lose weight, run a marathon, volunteer every day, get a “good” job, find the perfect person, etc), or something we must convince ourselves of in clichéd affirmations to our terrified reflection in the mirror (“You are a vision of beauty. I am a sacred feminine goddess. You embody wisdom and magic of the universe. I am one with the divine”, etc). Nothing against mantras, but if they are vague or inauthentic, we are merely confusing ourselves! No wonder it’s not working! (How about cut to the chase: I LOVE MY VARICOSE VEINS!) Most of the time we are so used to doubting, neglecting, criticizing, scaring, denying ourselves, etc, that we don’t even realize we are doing it; for many of us, beating ourselves up is a habit we picked up in order to survive and/or fit in. And while we are well aware that society/media, etc, capitalizes on this insecurity by bombarding us with messages laden with fear, (protect yourself with insurance of every kind, love yourself with stuff, prettiness, money, get a facial, etc), sadly we are all susceptible to turning against ourselves in favor of popular opinion or old habits where we learned to do whatever we could to get love, even if meant not loving ourselves. The good news is that we are already “loving ourselves” all the time—even in ways we are unaware, natural organic ways that remind us that self-love is a healthier, though underemphasized (and under sensationalized), means of survival. As Mary Oliver reminds us, we only have to let our soft animal body to love what it loves.” Sometimes we have to find our soft animal body in order to remember what it loves. In this integrative workshop we will discuss and practice what it means to truly nurture and love ourselves in ways that feel authentic, loving, and honest by bringing personal meaning to a crucial adage—love thyself—and why we need it now more than ever. · Inexplicable case of the blahs and/or a growing awareness of the need to wake up. How does Intuitive Writing Therapy help? Intuitive Writing is a practice. No matter what your goals are—personal, professional, deeper writing—the process connects you more deeply to yourself, others, and what you love. Writing together, sharing experiences and stories in a group setting, is one of the most curative forces of humankind. The supportive, safe, playful environment nurtured in the process invites you to discover what is truly needed and wanted for you to live a more fully alive, creative, and spontaneous life. How does Intuitive Writing work? We begin with an image, thought, feeling, memory, word, sound, or movement,. No matter where we start, the intuitive energy allows us to shut off our inner-critic and dive into the unspoken, dormant, or hushed thoughts, feelings, and dreams that live inside all of us. When we write together, we connect on a universal level to all stories and are inspired to dive deeper down the infinite force and memory of our own stories As a result, we create powerfully raw, meaningful and bold heartfelt writing, the secret ingredients of “great” writing. Do I need to be intuitive? You already are! For many of us, intuition is blocked or dormant, likely shut off at a very young age or result of trauma of some kind, which leads us to believe we are not intuitive. Intuitive Writing quickly shows us that intuition is our birthright and life force. Absolutely not! Intuitive Writing is ideal for all backgrounds, including writers! Over my years of writing with others, I have written with and continue to write with kids, teens, auto mechanics, CEOs, chefs, stay-at-home moms, retirees, lawyers, mental health providers, artists, dancers, farmers, extroverts, introverts, conservatives, liberals, the happy, the lonely, the confused, the lost, the found, the lucky ones, the not-so-lucky ones, Minnesotans, non-Minnesotans, and many, many, more. Classes, privates, workshops, and therapy groups are held in the Twin Cities Metro area. Typically, classes run between $25-$45 per two and half hour session. Sliding scale fee always available. 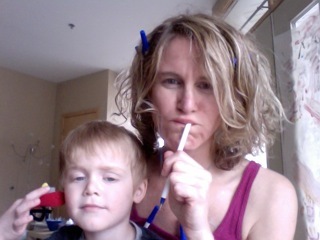 writingwithrox.comWRITING WITH ROX.612-703 4321.rox@superok.com. WRITING WITH ROX. feel better. WRITING WITH ROX. 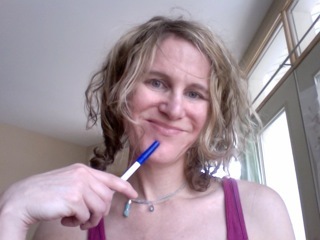 meet your truest self.rox@superok.com..
Twin Cities based freelance writer, teacher, and psychotherapist. 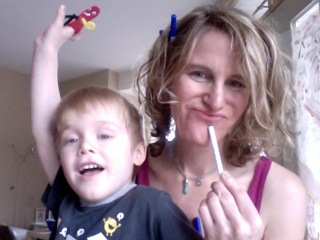 Roxanne Sadovsky, MA, MFA is a Twin Cities freelance writer, teacher and psychotherapist. She holds a master’s degree in counseling psychology from Antioch University Seattle (1998) and creative nonfiction from The University of Minnesota (2004) and currently teaches at the Loft Literary Center. 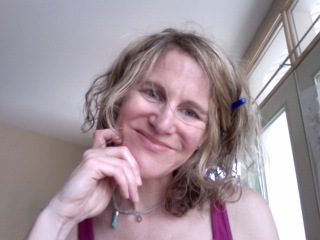 She facilitates retreats, workshops, classes, groups and individuals in intuitive writing and intuitive writing therapy as well as creative nonfiction (memoir, personal essay, life stories) in her private practice. She currently writes for Minneapolis St. Paul Magazine and published in Twin Cities Jewish Life, aislesay.com, Minnesota Monthly, Twin Cities Wellness, Utne, The Seattle Times and Seattle Magazine. "Her style of teaching inspires me to explore my imagination, my thoughts, my life's experiences, to access thoughts, ideas, etc. that I didn't know were inside me. Her ideas for subjects to write about take me down many paths I may not have taken. "I love Roxanne's writing classes. I have taken several over the last year and a half and plan to take more. She presents us with such intriguing invitations to write about little pieces of our lives as well as the opportunity to share them. Though I often feel hesitant, it feels empowering to share my stories and an honor to hear my classmate's stories. And we also laugh a lot." How will I ever know what to do? And it will work out perfectly. It always does.